Blog - BAKERS SAY IT WITH FLOURS! BAKERS SAY IT WITH FLOURS! 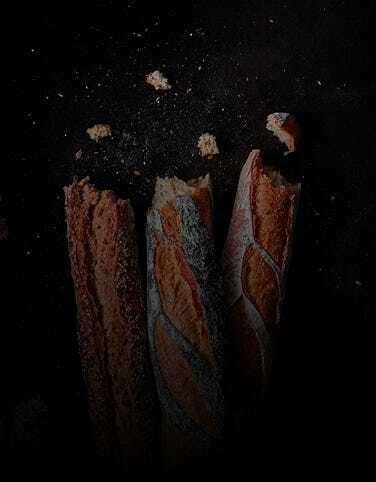 We bake our sandwich baguettes with loving care and we give serious consideration to the type of bread to use for each and every sandwich we make. 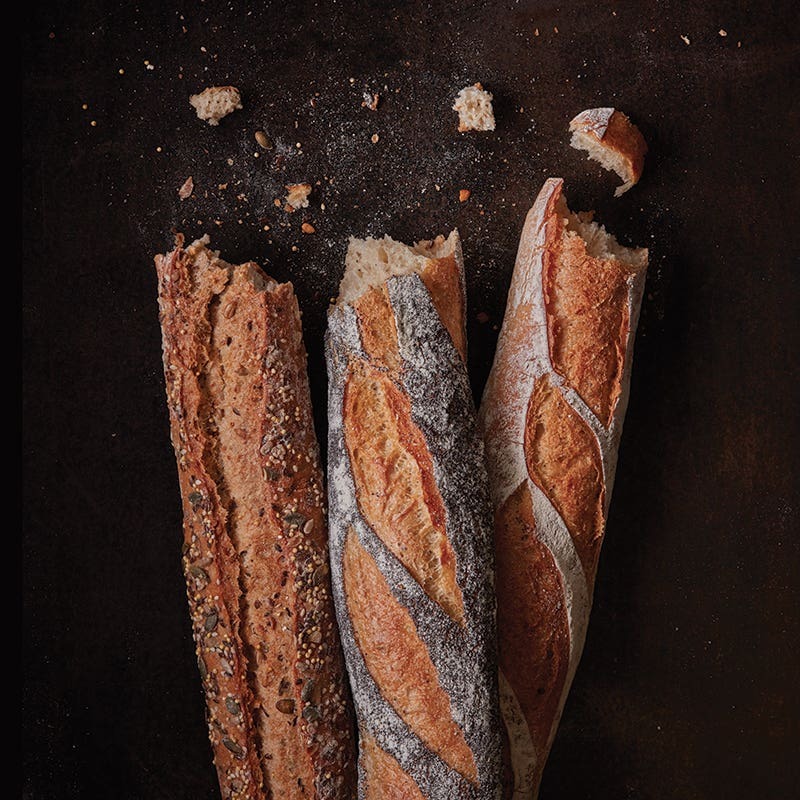 Sometimes this means creating an entirely new baguette to ensure the happiest marriage of flavours and textures. Just as a sommelier uses his extensive knowledge of wines to pair them perfectly with your meal, our bakers know exactly which bread to use to bring out the very best in a sandwich filling. At the moment we have seven different baguettes in our artisan sandwich range. Two new sandwiches join the collection this Autumn, both of which have ingredients that are happily paired with our PAUL sesame bread made with our own white flour, imported from France. The Sandwich Camembert et Duxelle de Champignons has slices of rich, mellow camembert with an earthy mushroom duxelle, grilled onions and green salad leaves. The richness of the ingredients requires a light touch with the baguette, and the delicately flavoured sesame bread is the perfect partner. The Sandwich au Bleu et Bacon has flavours that command attention with its creamy blue Stilton, savoury bacon and contrasting sweetness of a cherry tomato jam. Again, the sesame baguette complements without adding to the intensity. When we launched our Vegan sandwich, the Végétalien, our goal was to ensure that it was genuinely enjoyable and satisfying. We chose our ingredients carefully, and for an extra burst of flavour and colour, we created a brand new bread studded with beetroot pieces. This makes it both extra tasty and rather pink! One of our best selling sandwiches is the Rosette Fromage, salami and gherkins in a baguette made with our own PAUL white flour, rolled in grated cheese before baking. The robust favours of the salami and gherkin are excellent on their own, but it’s the inspired addition of the cheese baked into the baguette that makes all the difference. Our Two Olive Bread with its delicious aromas of Provence, is the ideal partner for our Sandwich Tomate Mozzarella with its Mediterranean ingredients of ripe tomatoes, green basil pesto and mozzarella. Sometimes the simplest things are the best and should just be allowed to speak for themselves. This is the case with our best seller, the Mixte, a modest sandwich of tasty ham and Emmental cheese in a generously buttered PAUL baguette made with our Ancien-style dough. Simple, but extraordinarily good. Our tuna salad sandwich, the Dieppois, is also paired with this deceptively unassuming Ancien-style bread which allows the flavours to shine through. The Montagnard and the Pavot Poulet are both made using our delicious poppy seed baguette, bringing just the right amount of crunch and flavour to two of our most popular sandwiches. You may end up with poppy seeds all over the place, but you know you’ve eaten a proper, hand-made bread. The potato and fresh rosemary bread we created for our Sandwich Rôti de Boeuf completes our Magnificent freshly baked Seven. The aim was to pack all the flavours of a great British roast beef lunch into a sandwich, and we think we did it. Explore the new Autumn sandwiches, try out some in our range that you might not know and we hope you take a moment to enjoy and appreciate all those happy marriages of baguette and filling!